This is the last in our series of articles on the characteristics which distinguish a high security European profile cylinder from any other type of cylinder. After seeing how a cylinder can protect against brute force attacks and lock picking/key bumping, we’ll now see what solutions there are to prevent the making of illegal copies of keys. This is an aspect which is often overlooked but, in truth, it is crucially important; it is obvious that if a burglar can easily obtain a copy of the key the cylinder can be opened regardless of all the protections which it may have. Opening a cylinder with the right key is undoubtedly the simplest thing. Being able to freely copy a key when it needed is very convenient, but it represents a security risk, as it offers the possibility of also easily making illegal copies. This risk is even higher if you need to give a copy of the key to strangers, such as tenants and workers, but the risk is always there even if the keys are only held by trusted individuals, because in many cases it is still possible to remove the key for just those few minutes necessary to copy it and then put it back in its place without anyone noticing. There are products on the market for which the keys can be freely copied, items with keys protected by trademarks and models with keys consisting of multiple elements which create a mechanism that, together with that of the cylinder, can be covered by a patent. 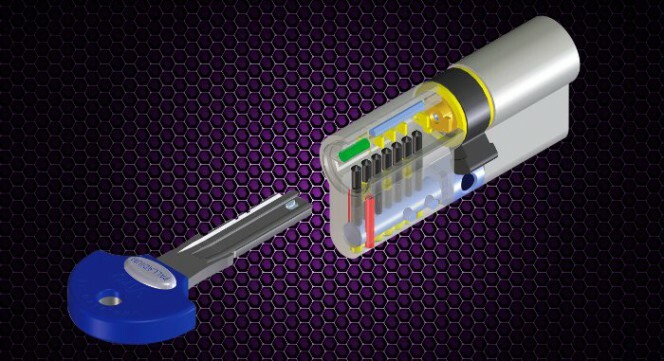 High security cylinders have patented keys and mechanisms and/or registered profiles. In this way, the key blanks (i.e. not coded) are not freely available, but are made exclusively by the cylinder manufacturer who distributes them only to the authorised centres, which in turn only make the copy upon presentation of the documentation proving legal possession of the original key. Generally, whoever requests a copy is required to present the coded ownership card according to one of several technologies available. 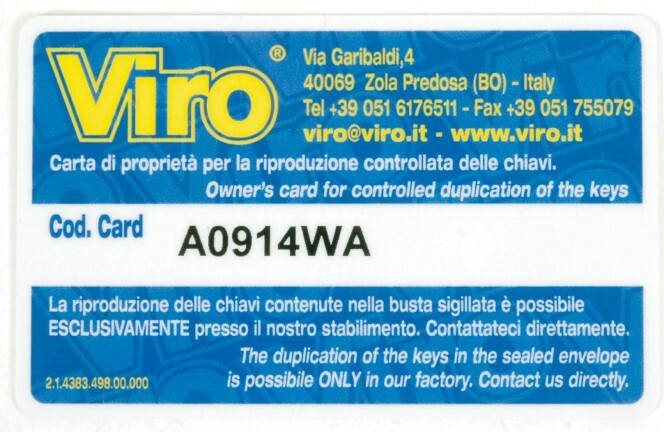 Viro, for example, provides, on request, keys with controlled copying on many of its products (cylinders, but also padlocks and locks), and these keys can be copied exclusively at Viro Authorised Centres, upon presentation of the coded ownership card. These are the Viro profile keys marked with the letters .PV. 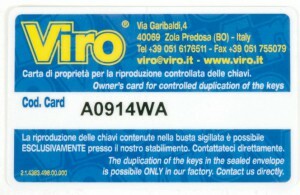 A Viro coded ownership card, which only allows keys to be copied for rightful owner. In cases where maximum control on copying is required, the key blank are not even provided to the authorised centres. Copies can be made only by the cylinder manufacturer. In this case, obtaining the copy requires a few days, but there is the total guarantee that it can only be done by and for whom has full authorisation. Viro also offers this type of further control over copying, using the profiles marked by the letters .PB. In the case of Viro Palladium PB cylinders, the key and the mechanism are also protected by a patent. 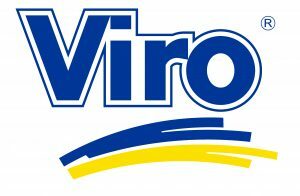 In order to obtain a copy of Viro .PB profile keys one must always contact Viro retailers, who will forward the request to the parent company, along with an image of the ownership card (which will be held by the retailer until delivery of the copy of the keys) and general information on the owner. If the documentation is complete, Viro makes the copy of the keys which are supplied to the shop in a sealed envelope that is handed over to the customer together with the ownership card. The Viro .PB patented profile keys are also available for many products, not just cylinders, but also padlocks and locks. This range of products is explained by the fact that not all use situations require maximum security. In some cases, such as for internal doors or for pedestrian gates, other requirements are more important, such as durability or purchase prices. As always, you should also consider that security is the product of a system which must be evaluated in its entirety. The characteristics of the cylinder must be chosen together with those of the lock, the security escutcheon/shield and the door on which they are to be fitted; that is to say, more generally, the context of use.